A few weekends ago, beautiful (and she is!) 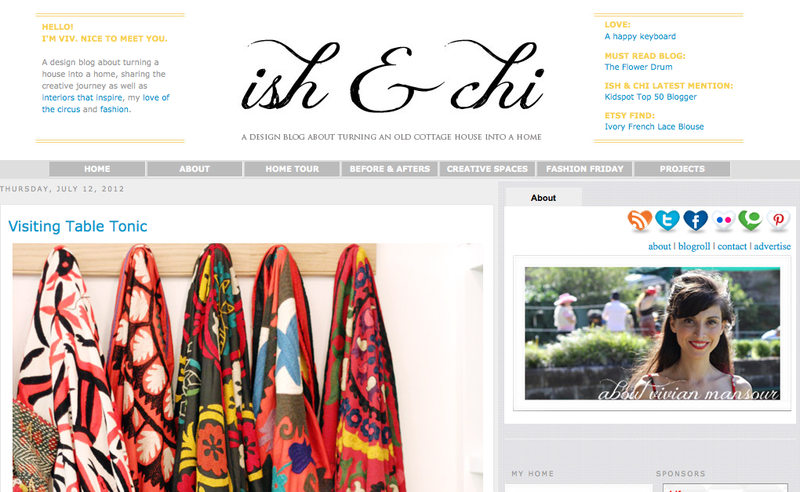 Viv from Ish & Chi popped into the Table Tonic shop. I've "known" Viv for years through the "blogosphere", so it was very exciting to see her in the flesh for the first time! And PS She looks like a doll - so pretty. So perfect. Viv is no stranger to Table Tonic (see what she bought - and blogged about - previously), but what did she leave with this time? (above) Viv says: "I have been meaning to share with you my Table Tonic purchase. 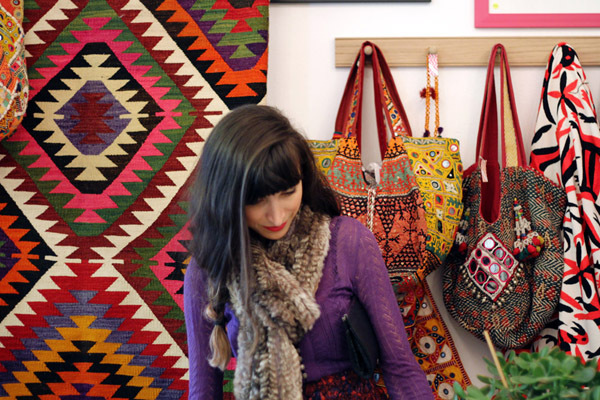 It's only small purchase (I would kill for a suzani bedspread!) 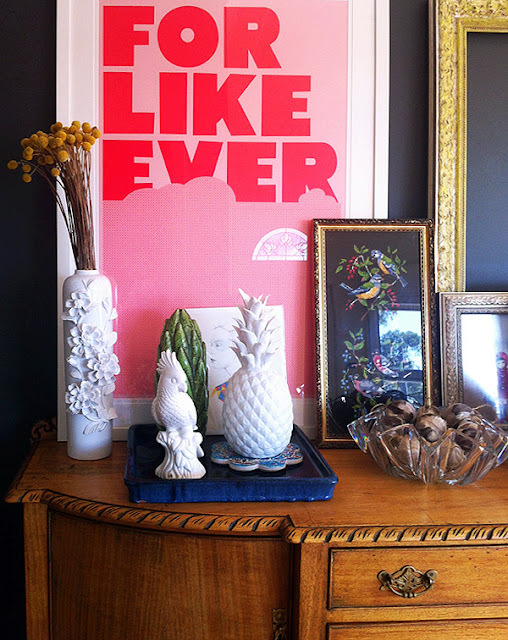 - this white ceramic parrot ($30) taking pride of place on the new sideboard. Actually this is an old sideboard that was in the studio but it has now been moved to the entrance of the house. I love it here. I think it looks lovely against the dark wall." (above) Read all about Viv's visit to Table Tonic here! (above) And can we talk about how good she looks in the TT shop (enjoy your parrot Viv)! Click to shop tabletonic.com.au. Shop 6, 20 Avalon Parade, Avalon NSW 2107.
thanks for your help. Your blog contain lots of information for many people. Hey there your web page url: http://www.blogger.com/comment. a completely different web-site when I click the homepage button.